21/01/2010 - The Italian Ambassador, Giulio Terzi, has announced that the Government of Italy has authorized the allocation of $1, 500,000.00 over three years, in support of maintaining the Advanced Placement Program in Italian Language and Culture. It was made possible through the direct efforts in Italy by the Prime Minister’s Office and by the Ministry of Foreign Affairs with the support of the Embassy of Italy in Washington. Major Italian American organizations also lent significant support to the effort. The decision, said Terzi, confirms the priority assigned by the Government of Italy to the Advanced Placement program of the American College Board , which has been identified as indispensable to the diffusion of appropriate level Italian language courses in U.S. schools. In fact, for a foreign language, being included among the 35 AP subjects, it is a factor of continuity, diligence, and coherence in curricula from preschool to university. Inclusion in the AP is incentivizing to prospective students and to the high schools themselves. 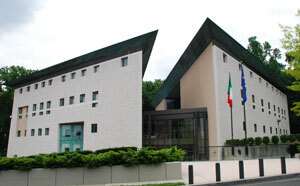 Terzi said that the Embassy of Italy was "strongly appreciative for and commends the commitment undertaken by the Conference of Presidents of Major Italian American Organizations* through the creation of an ad hoc committee tasked with supporting the Government’s action through both raising additional funds and a campaign aimed at gathering a critical mass of students to enroll in the program." In view of the program’s reinstatement, direct contacts at the highest level between the Embassy of Italy in partnership with the Conference of Presidents and the College Board have already been activated and will continue in the coming weeks. -National Italian American Business Assn. -Tri- State Italian American Congress, Inc.